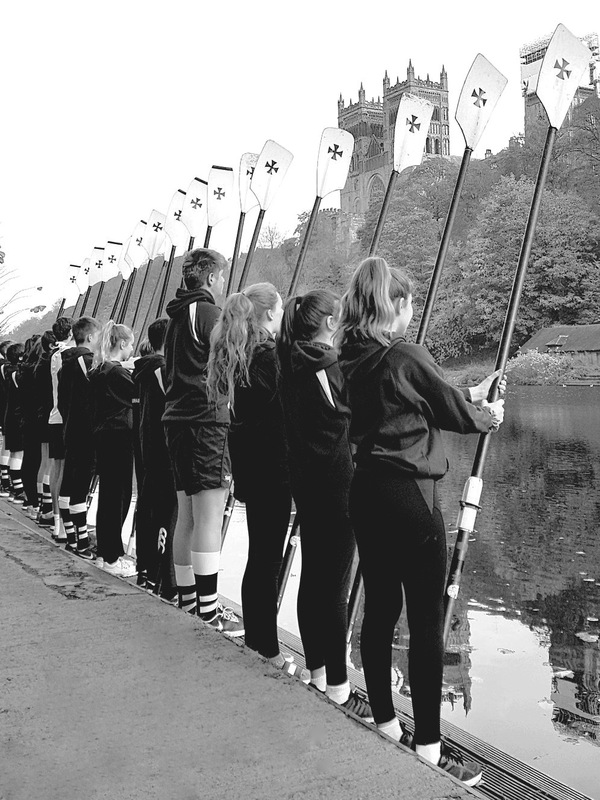 The youngsters of Durham School Boat Club take part in their ‘Blades of Remembrance’ ceremony on 11 November. Tim Koch promises that his posts on the First World War will all be over by Christmas. The above Durham School BC tribute was one of several that I missed from my recent roundup of 28 #BladesofRemembrance ceremonies. Some others that I failed to include are those by Anglia Ruskin BC, Durham ARC, Tees RC, Kings Ely BC, Goring Gap BC, Maidstone Invicta RC, Avon County RC, Bristol RC, Furnivall SC, Hexham RC, Curlew RC, Monmouth School RC, Weybridge RC, Boston RC, Herne Bay RC, Bedford RC, Doncaster RC and Isle of Ely RC. Apologies to any others that I have not included with the 47 that I have now listed. In another tribute, GB rowers Ollie Cook and Jacob Dawson laid a wreath on behalf of the GB Rowing Team at the Bisham War Memorial near Marlow. 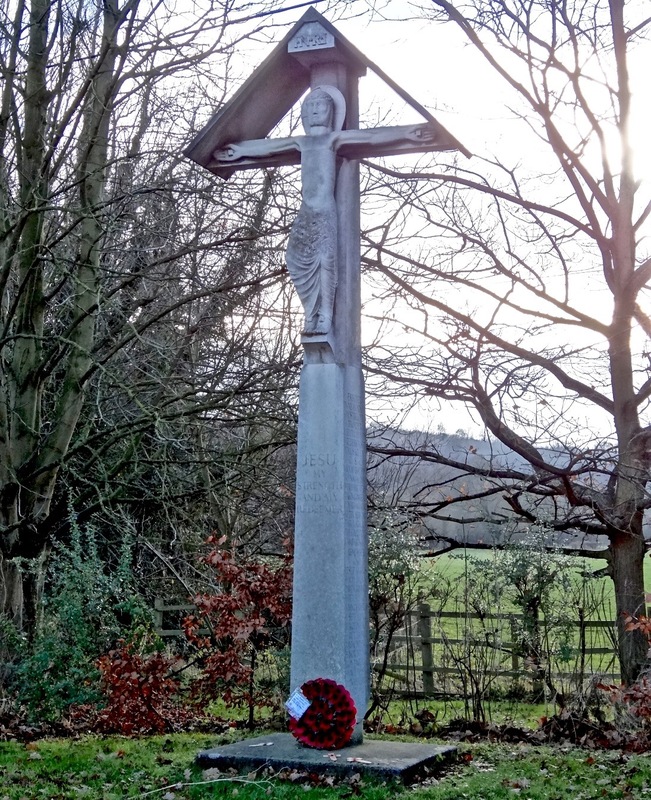 The names on it include Frederick Septimus Kelly, Olympic, Wingfield and Henley winner, but the memorial is also in memory of all the men of the village of Bisham who died in the First and eventually also the Second World War. (The Bisham War Memorial is) by the renowned sculptor, Eric Gill, in the form of a Calvary depicting a crucified but triumphant Christ executed in Portland stone… (It is a) good example of Eric Gill’s newly resolute, Romanesque style figure of Christ that had emerged from his reaction to mass bereavement caused by the war… (It is) a powerful Christ, not a dying or suffering figure. This resurrected Christ, that has conquered death, was intended as spiritual comfort to the bereaved… Gill also made a brass plaque in c.1917 to the memory of Kelly, which is inside Eton College antechapel. 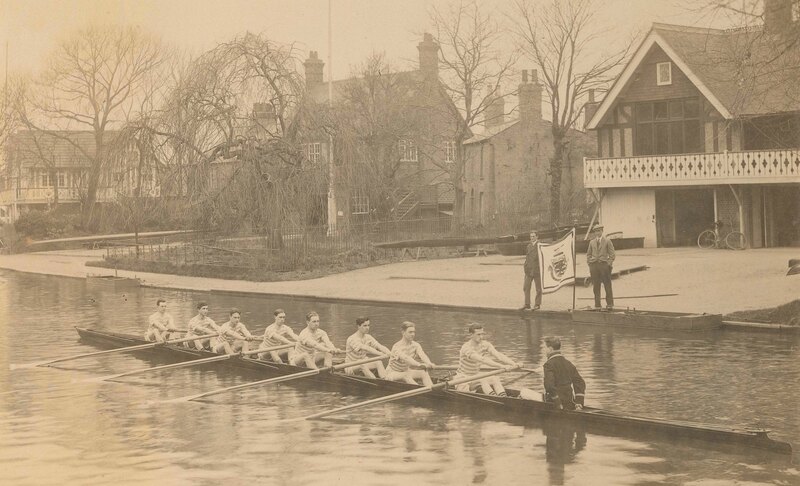 Ollie Cook has also posted a poignant historic rowing photograph concerning his old school boat club on his Instagram account. 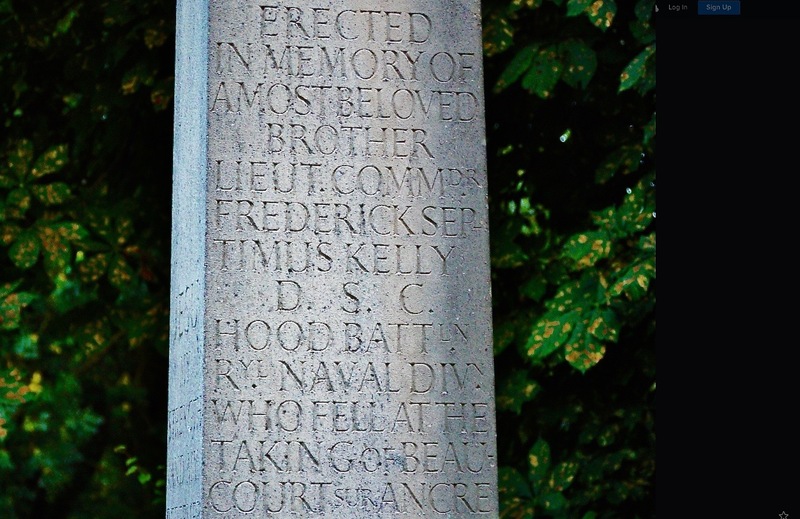 One side of the Bisham War Memorial. It was commissioned by Kelly’s sister. 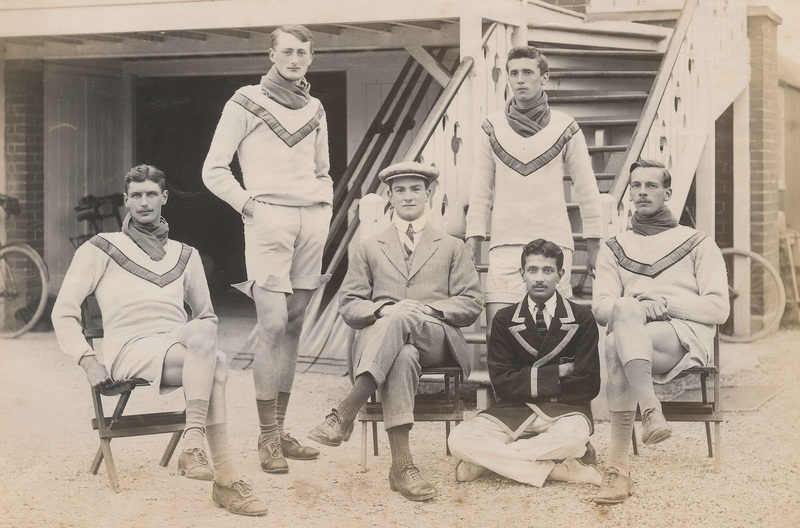 My recent piece on rowing club war memorials included the plaque on the boathouse of Shrewsbury School, which notes that it was built in memory of Old Salopian and active member of the boat club, John Edwin Pugh, who died of wounds on 12 November 1918. The school has produced a short video on Pugh which can be viewed in its website. The site also has a simple but moving list of the 310 Old Salopians killed in the First World War. This version is in date order and shows how few days there were between reports of another death reaching the school. Notably, on 1 July 1916, the first day of the Battle of the Somme, six former pupils were killed. I have found some college boat clubs that have put records of their war dead on their websites or social media. 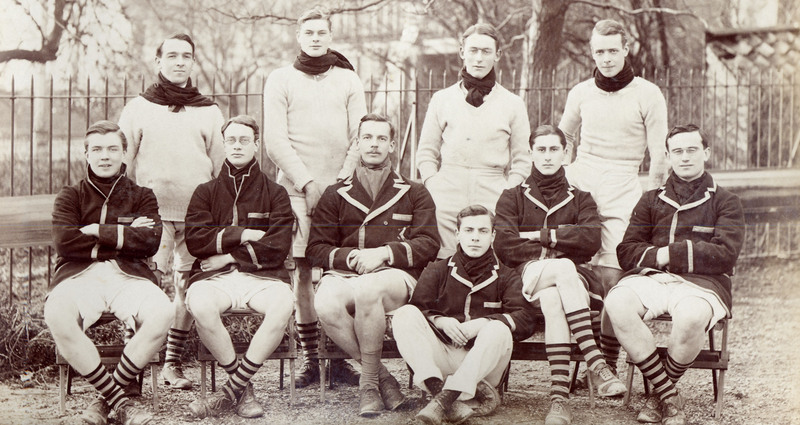 Christ’s College, Cambridge, Boat Club has the service history of 27 of its 1914 – 1918 war dead online, followed by a list of all those CCBC members who served in uniform. The website of Jesus College, Cambridge has a student’s photo album from 1912 to 1914 on its website. Geoffrey Barham Johnson was a keen rower and his photographs capture the salad days on and around the Cam just before life changed forever with the outbreak of war. Poignancy is added when we know which of the young men pictured had only a short time left to live. 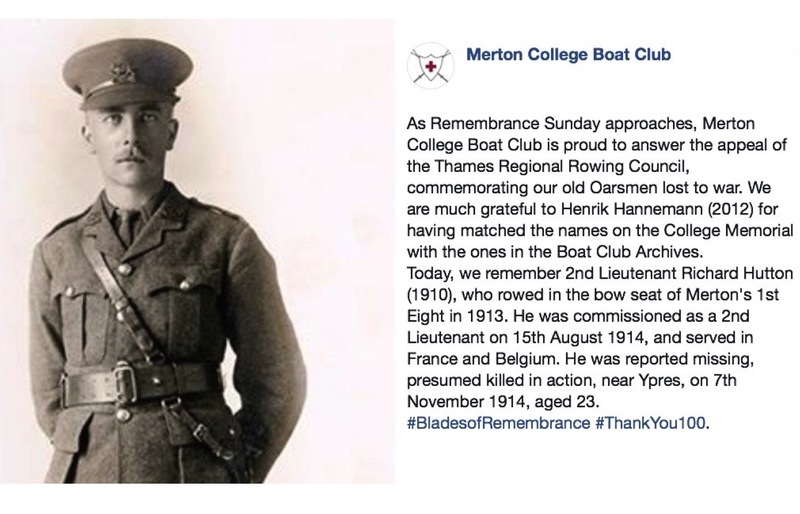 Oxford’s Merton College Boat Club’s Facebook page has tributes to five men of its members killed in 1914 and 1915. 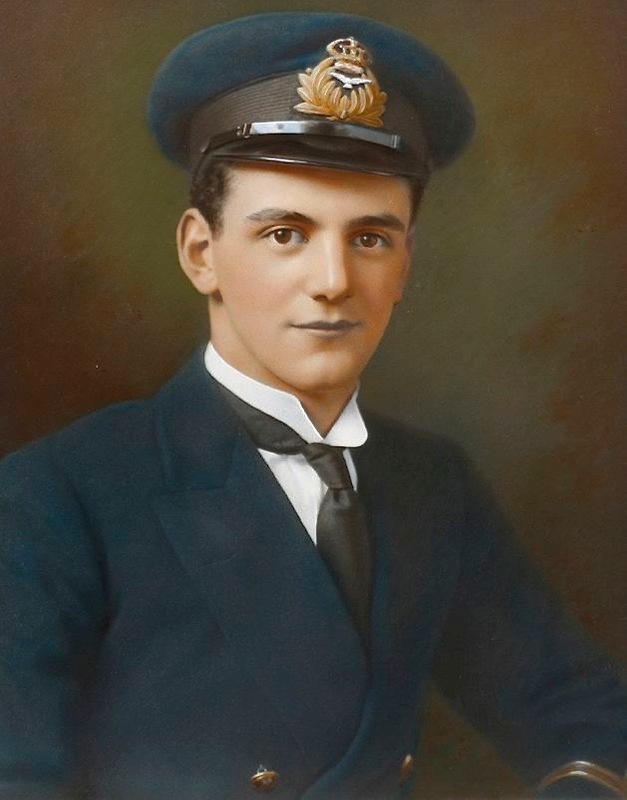 One of Merton College Boat Club’s lost members, Richard Hutton, commissioned as an officer eleven days after Britain declared war on Germany and killed less than three months later. Downing College, Cambridge, has an online Roll of Honour giving details of 40 alumni killed in the Great War. I have picked three notable members of the boat club from this list. Many thanks to Downing College Archives for permission to quote extensively from the text (italicised) and to Stearn and Sons / Lafayette Photography Ltd who own the copyright of the wonderful high-resolution pictures. Samuel Wilton at ‘4’ in Downing’s First Boat for the 1913 Lent Bumps. © Stearn and Sons/Lafayette Photography Ltd.
As a keen athlete, he obtained college colours for Rugby Football… and also obtained his Hockey and Cricket colours. He was College Boat Captain and coach and often appeared in University Trial Eights. 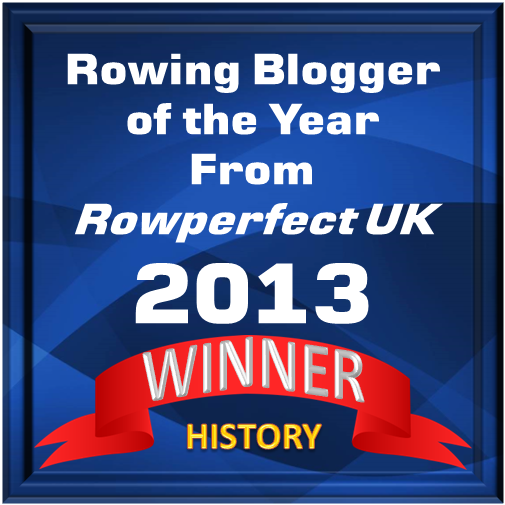 In 1913 he rowed in the Lent and May Boats and in the Clinker Four, coaching the Getting On Boat the following year. When war broke out he joined the 1/5th Battalion of the (The Prince of Wales’) North Staffordshire Regiment… He was sent to the Western Front on 25 February 1915 and was wounded in September 1915 and also on 1 July 1916, returning to the front on 14 September 1916. After being reported as wounded and missing, Capt. Wilton was confirmed as killed in action at Bucquoy, Pas de Calais on 14 March 1917, aged 24. He was engaged to be married to Madeline Lucretia Turner of Chesterton, Cambridge. The Downing 2nd Lent Boat, 1910. Henry Huckle is standing back left. © Stearn and Sons/Lafayette Photography Ltd.
Henry William Huckle was a student at Downing between 1907 and 1911. Downing’s Clinker Four in 1910. John Green is seated on the left. © Stearn and Sons/Lafayette Photography Ltd.
John Leslie Green studied natural sciences at Downing between 1907 and 1911 before continuing his medical training at St. Bartholomew’s Hospital. Green… was the only Downing member to receive the Victoria Cross, awarded for ‘most conspicuous bravery’, during the First World War. 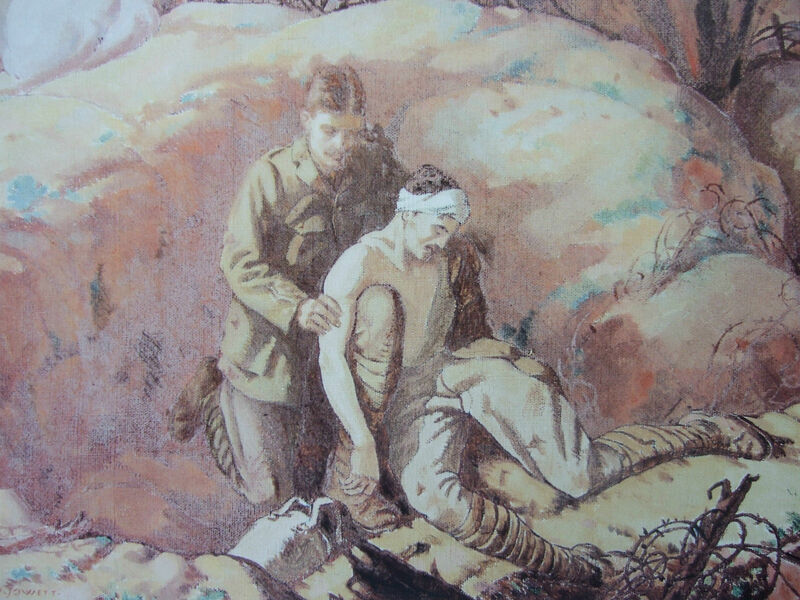 (On) the outbreak of war he obtained a commission for the (Royal Army Medical Corps). (In 1916) Green’s battalion… took part in the attack on… Gommecourt which formed the northernmost part of the offensive now known as the Battle of the Somme, which began on 1 July… Capt. Green was one of 19,240 British men who lost their lives on 1 July 1916, the worst losses in the history of the British Army. A contemporary postcard imagining Green winning his Victoria Cross. He had married a fellow doctor, Edith Moss, just six months previously. 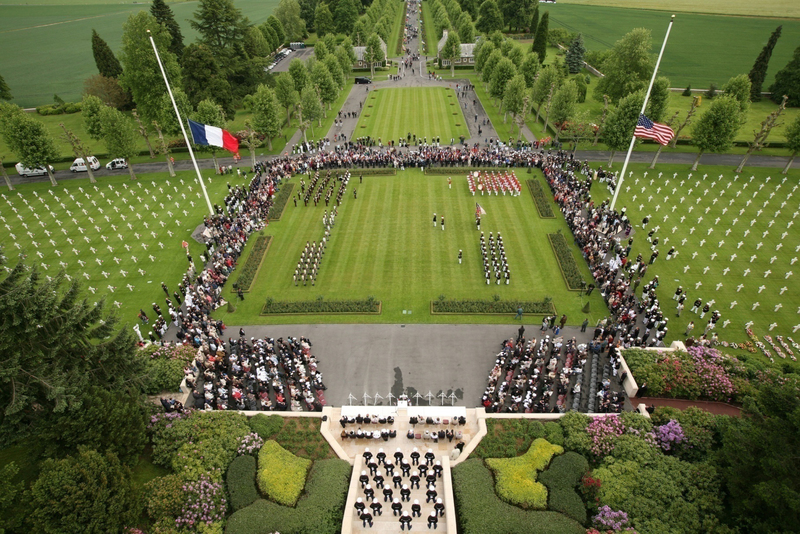 U.S. Marines and French soldiers at the Aisne-Marne American Cemetery during a previous Memorial Day service in 2010. Picture: US Marine Corps/Public Domain. Returning to the present day, 100 years on from the Armistice, politicians from all over the world have honoured the dead of the First World War. The one exception was the U.S. Commander-in-Chief, who cancelled his attendance at a remembrance ceremony at the Aisne-Marne American Cemetary, an hour outside of Paris, initially blaming the rain, later citing poor advice from the Secret Service. The aforementioned pseudo soldier and alleged draft dodger has previously said that the late John McCain was ‘not a war hero’ because he had spent five years as a prisoner of war in North Vietnam (where he was repeatedly tortured but only gave his name, rank and serial number, and refused his captor’s offer of release made when they found out that his father was an Admiral). ‘I like people that weren’t captured’ the present Commander-in-Chief said at the time. Perhaps he also prefers people that weren’t killed? While HTBS is generally fairly rigorous in avoiding political commentary, your observations about our MIA “Commander-in-Chief” (aka Private Bone Spurs), are well noted and much appreciated by this veteran.